Amber is a Registered Clinical Counsellor who’s compassionate nature and warm personality helps her client’s feel secure and safe, as together they challenge and overcome a variety of painful difficulties. In addition to her Master’s Degree in Counselling Psychology, Amber possesses significant training and experience in a variety of evidence-based treatments. She is skilled in providing individual therapy to youth and adults, and play therapy for children. 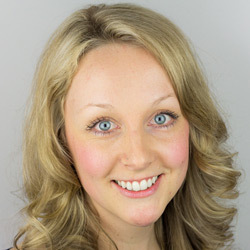 Amber draws upon her knowledge of a multitude of evidence-based treatment approaches to suit each individual client including Cognitive Behavioural Therapy, Mindfulness, Expressive Play Therapy and Social Skills curriculum. Focusing on her client’s strengths and establishing goal supports is the backbone of her work, as she builds strong and meaningful therapeutic relationships in her practice. Amber is deeply committed to assisting her clients become their most resilient selves. She patiently works alongside her clients to help them recognize they have the ability to increase their wellbeing, comfort, and life contentment, using an array of proven counselling methods and techniques.